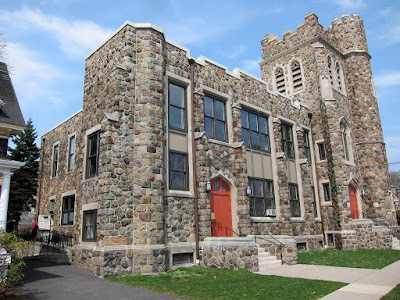 Dream a Little Dream: Transforming Oakes Memorial Methodist Episcopal Church into a Theatre and Home for Non-profits ~ The History Girl! Native American cultures believed that the night air is permeated with both good and bad dreams. In order to permit only the good dreams to penetrate the psyche, the Ojibwe tribe designed a webbed hoop decorated with feathers to hang over their beds. Called “dreamcatchers,” these defvices were thought to ensnare bad dreams which would then be burned off by the next morning’s sunlight. Good dreams filtered through the web and made their way to the sleeper. Dreamcatcher Repertory Theatre took root as a summer theatre in Montclair, renting space at Luna Stage and 12 Miles West. After four years there, it spent another four at Bloomfield College as a year-round theatre. 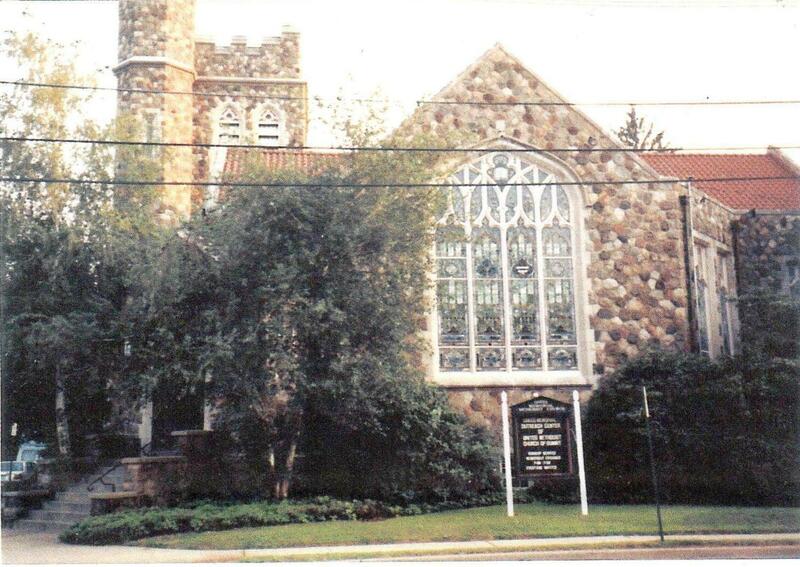 “Unfortunately, recalls Ekstrand, “the 300+ seat theatre was too large for the kind of intimate theatre we were producing.” So in 2003 the company moved on to South Orange to the Baird Recreation and Cultural Center. “South Orange was a great place for us to grow,” continues Ekstrand. “Our audience increased over the years and the theatre’s operations became more mature. 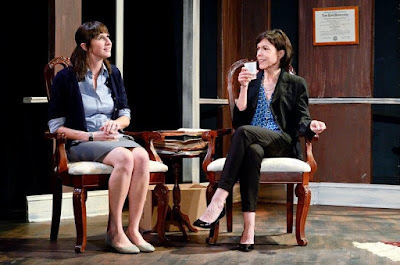 The attic black box theatre was ideal for our style of theatre, but a few factors precipitated a move once again: we were beginning to outgrow the 70-seat theatre, and the building itself was crumbling and making it hard for us to continue there. We were on the third floor, and the elevator constantly broke down---sometimes with our patrons on it!” It was time for another move. Enter the Oakes Center in Summit. Built in 1898 on the corner of Morris Avenue and Russell Place, the wooden structure began as a chapel for the Methodist Episcopal Church of Summit to serve as an independent Sunday School for the community in east Summit. While it was an extension of the Methodist Episcopal Church of Summit on Kent Place Boulevard, its purpose was to serve the worshippers of eastern Summit. 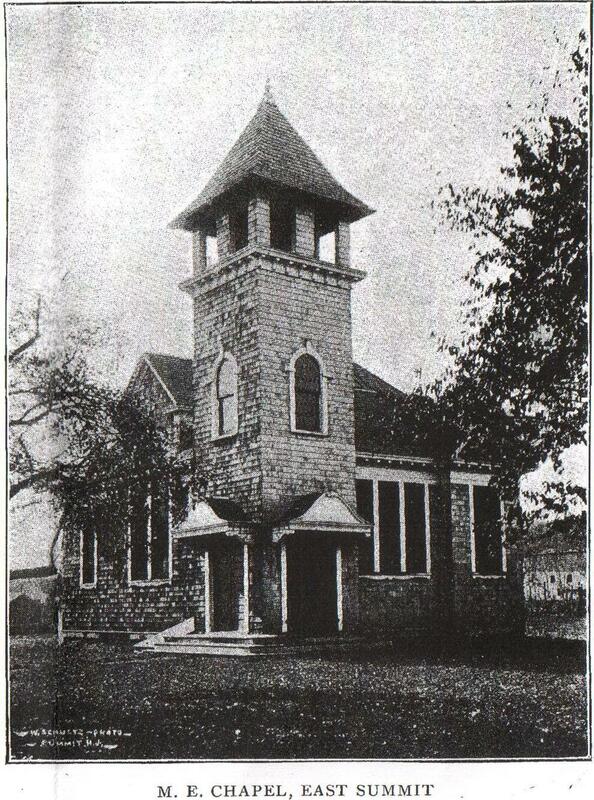 Methodist Episcopal Church of Summit Chapel, undated. Photo credit: The Summit Historical Society. By 1914 the community served by the chapel had grown, and the religious facility became a separate entity, initially named the East Summit Methodist Episcopal Church. Renovations were then undertaken to build a more complete church structure, which was dedicated in 1919. Rev. Jay Adams Oakes was the pastor of the church throughout its initial years, and after his death in 1922, the congregation voted to assume the name of the original pastor because “he had played such an important role in the development of the congregation,” according to Rev. Shawn Callender Hogan, current pastor of the United Methodist Church of Summit. 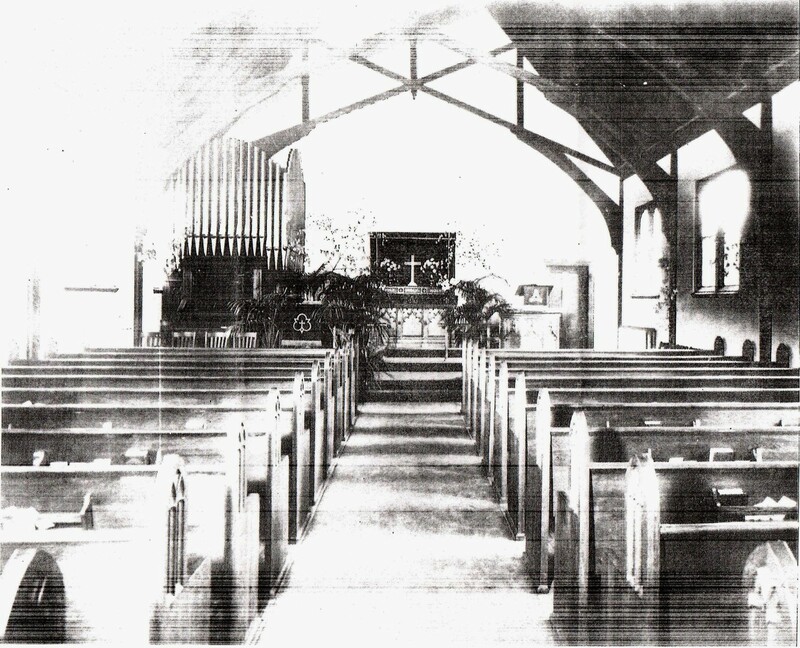 Interior of the Oakes Memorial Methodist Episcopal Church, undated. Photo credit: The Summit Historical Society. And so the Oakes Memorial Methodist Episcopal Church was born. It continued to function as an independent church until 1988 when the two churches (the United Methodist Church of Summit and the Oakes Memorial United Methodist) merged, becoming the United Methodist Church of Summit. “The merger brought together the strengths and talents of both congregations, forming a vibrant community of faith and service,” says Hogan. What then becomes of a beautiful stone church edifice? The newly meshed congregation provided funds to launch the Oakes Memorial Outreach Center, and for a period of approximately fourteen years the building was home to 39 chapters of Alcoholics Anonymous; a branch of the South Mountain Counseling Center; the headquarters of Unity, a battered women’s support group; a Korean-church congregation; and the Stony Hill Players theater group . 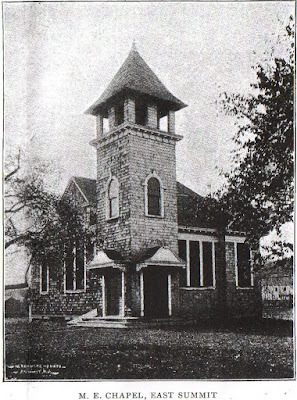 Oakes Memorial Methodist Episcopal Church, undated. Photo credit: The Summit Historical Society. In 2002 the Tiger Baron Foundation, a philanthropic organization, purchased the Oakes Center for one million dollars. In due course another two and one-half million was put into the building to bring it up to date. Tiger Baron has two requirements for its tenants: they must be non-profit and they must provide a service to the community. 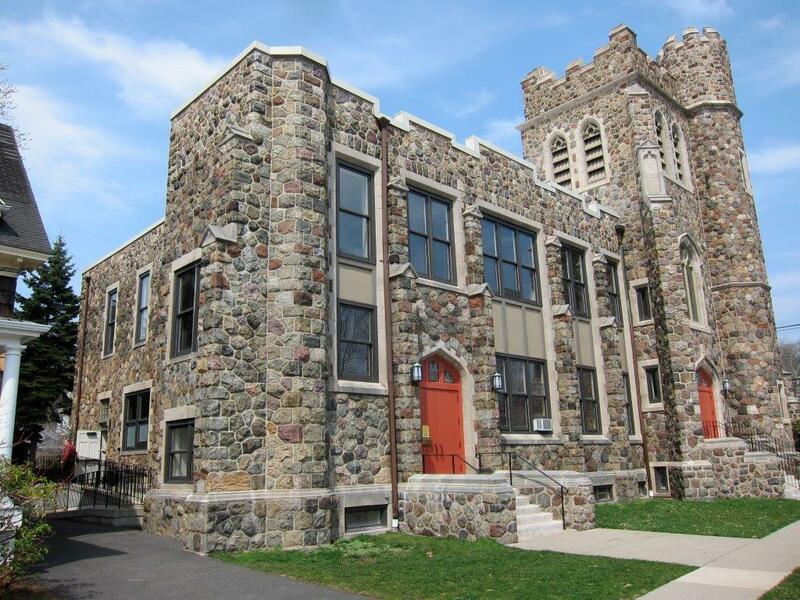 Presently working out of the former church are the Stony Hill Players, Bridges that feeds and otherwise provides support to the homeless in New Jersey and New York City, and four Alcoholics Anonymous groups. Rent is minimal and is highly subsidized by the Foundation. “Tiger Baron provides facilities the where-with-all to do good works,” says Oakes Center operations manager Rick Roberts. Dreamcatcher is one of the mainstays of the Oakes Center in Summit and now has a year-long season with plays, improv comedy, readings, and a summer youth program, along with outreach and education endeavors for all age ranges. It is also the one professional theatre group in the building. The 180-person capacity seems to suit Dreamcatcher. If marriage is “finding the right one,” then this is a perfect relationship. “We’ve been there five years so far and are continually looking for opportunities to update and improve the space,” says Ekstrand. “So far, we’ve repainted, augmented and lit the building sign, improved stage lighting, renovated the dressing rooms, air conditioned the lobby, painted the stage, and are now in the midst of a lobby renovation.” Whew! Then there are the productions. Jessica O'Hara Baker and Harriett Trangucci in The How and the Why from 2016-2017 season. On the schedule for the 2017-2018 mainstage are the following unique and creative stories. Up first: Every Brilliant Thing by Duncan Macmillan in which one actor relates the story of his mother’s mental illness and his attempts to convince her of life’s joys nonetheless. Audience participants help him to enumerate a list of a million items she can value about her life. This particular play was performed both in London and off-Broadway. 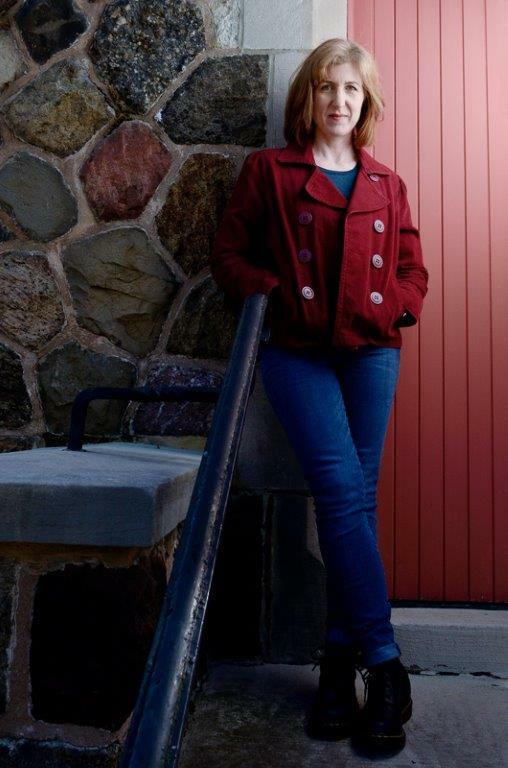 Then, What Stays, a play written by Laura Ekstrand and Jason Szamreta, another member of the Dreamcatcher company, about a matriarch moving out of her home. When family members come to help her, they discover both new and long-held secrets as they pack up the contents of the house. Company members’ own family stories inspired many of the tales and relationships included in this “fictional” account. Dreamcatcher’s final offering later in the season will be an evening of short plays called Continuing the Conversation. The theme has yet to be chosen; it will be something of current interest. Six playwrights will each interpret the topic in six short works; then six actors will bring each play to life. Last year’s successful show in response to the presidential election has given impetus for another attempt at this innovative method of drama. 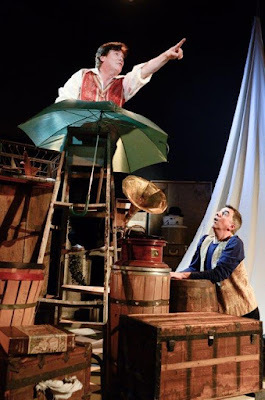 Harry Patrick Christian and Scott McGowan in Shipwrecked from 2016-2017 season. The 2017-2018 season will continue to include several sessions of Multiple Personality Disorder, the company’s improv troupe, a family-friendly and affordable night out. Broadway by the Book, cabaret entertainment, and Meet the Artist, new-play readings by the ensemble that invite the audience to participate in discussions with playwright, director and actors to witness the process of play development are another two of Dreamcatcher’s menu items. This and so much more will round out next season’s spectrum of professional theatre at the Oakes Center, 120 Morris Avenue, Summit, NJ 07901. For more information, visit www.dreamcatcherrep.org. Put the Dreamcatcher Repertory Theatre on your schedule and round out your theatrical experience. If you don’t believe that dreams really do come true, simply ask those at the United Methodist Church of Summit, the Tiger Baron Foundation, and the tenants at the Oakes Center, particularly the Dreamcatcher Repertory Theatre.